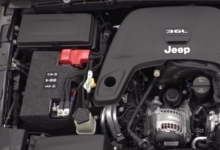 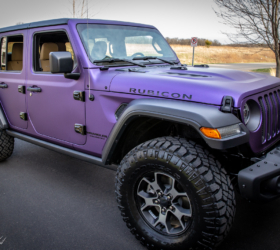 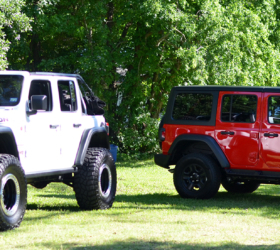 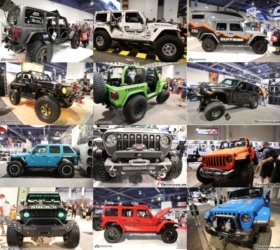 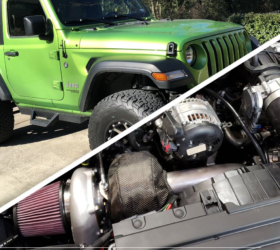 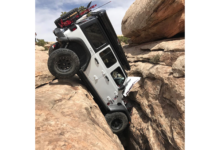 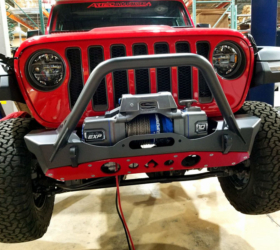 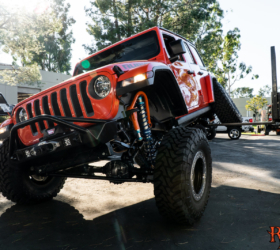 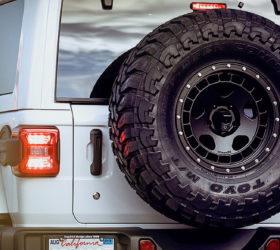 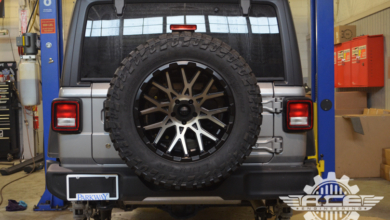 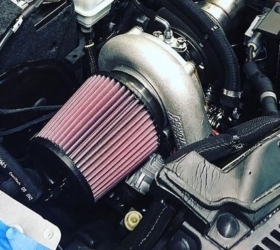 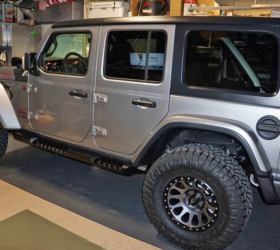 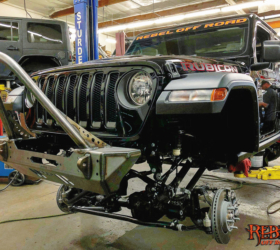 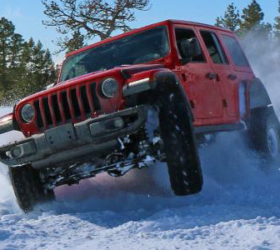 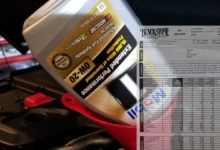 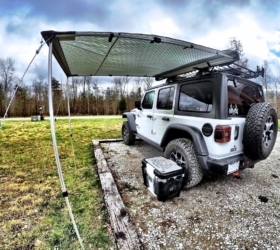 We got up close and personal with one of the first heavily customized 2018 Jeep Wrangler Rubicon models wearing loads of Jeep Performance Parts and accessories from Mopar’s new menu of JL-specific parts. 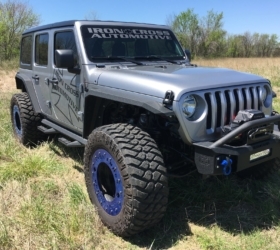 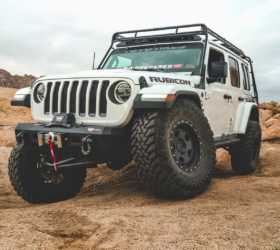 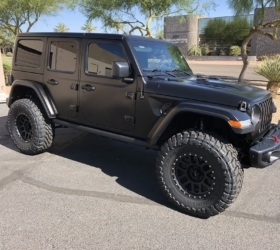 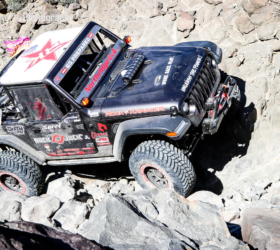 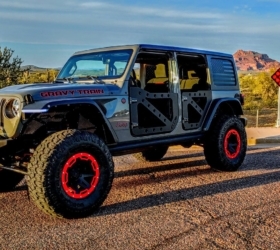 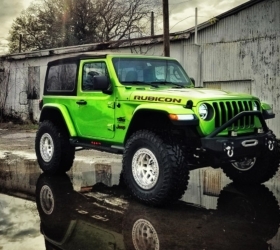 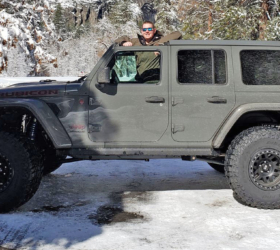 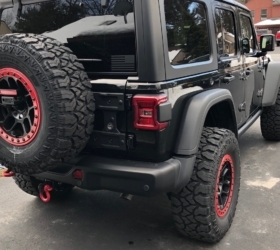 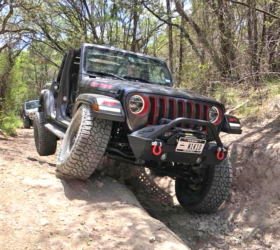 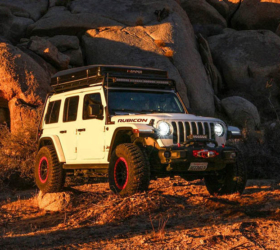 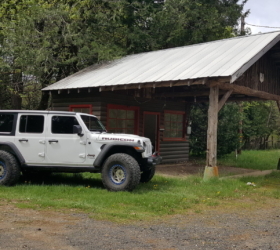 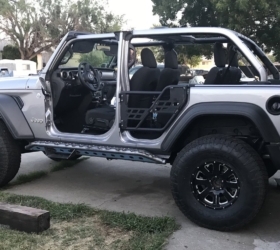 This modified Rubicon features Mopar’s 2-inch lift kit paired with the production high-top fender flares which sits above BFGoodrich KM2 35-inch tires wrapped around Jeep Performance Parts beadlock-equipped 17-inch aluminum wheels with a 12 mm offset to accommodate oversize tires. 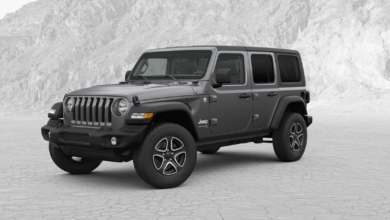 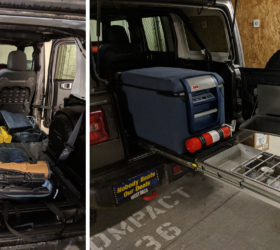 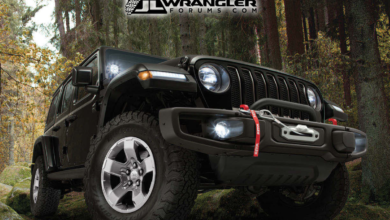 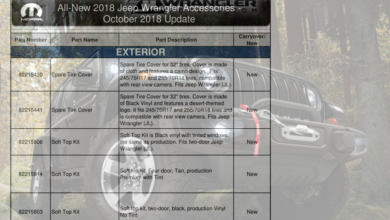 It’s also equipped with new tube doors, rock rails, LED off-road lights, snorkel, Mopar satin black keystone-shaped grille, spare tire tailgate, and on the inside — also from the Mopar catalogue — door sill guards, front and rear grab handles, cargo tray, and much more. 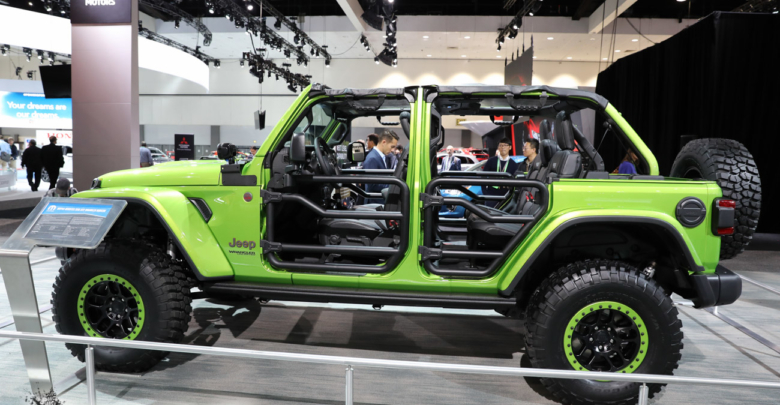 Check out all the full line of parts, videos and live photos from the LA Auto Show of this Mopar-customized Mojito! 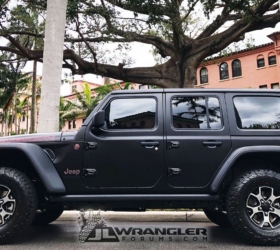 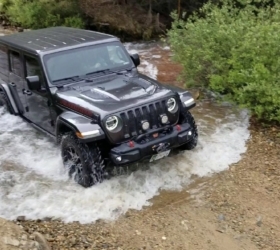 2018 Jeep Wrangler Rubicon.